Recently I worked on setting up an alphabetical glossary in a client site and want to share how I used Types, Views (commercial plugin) and Isotope to do the following in this article. 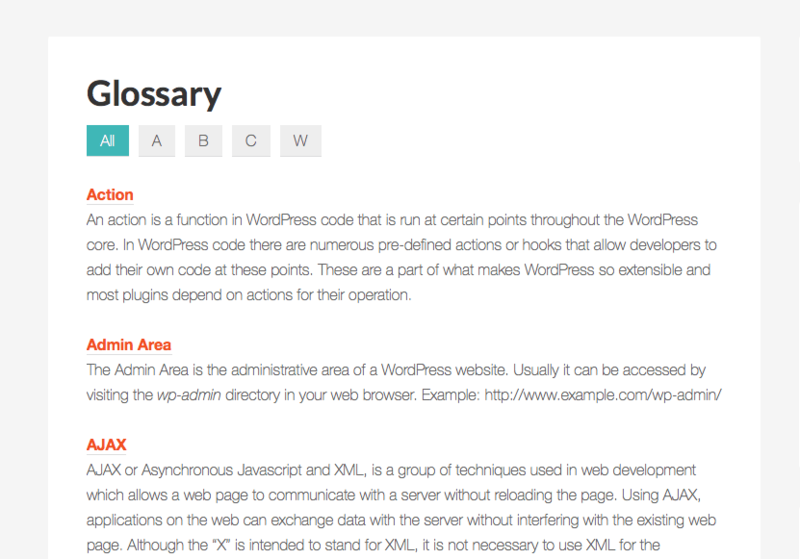 Using Types we will add a) Glossary Term Custom Post Type and b) Glossary Group custom taxonomy. Using Views, we will add two views: a) A View that lists all Glossary Groups that are not empty b) A View that lists the 'Glossary Term' CPT entries. Using Isotope jQuery script, we will add filtering capability so that clicking on a taxonomy term lists only the glossary items that have that term assigned. We shall place the shortcodes for these Views one below the other on a static Page. Install and activate Types and Views plugins. Make sure to assign Glossary Terms CPT to this taxonomy. 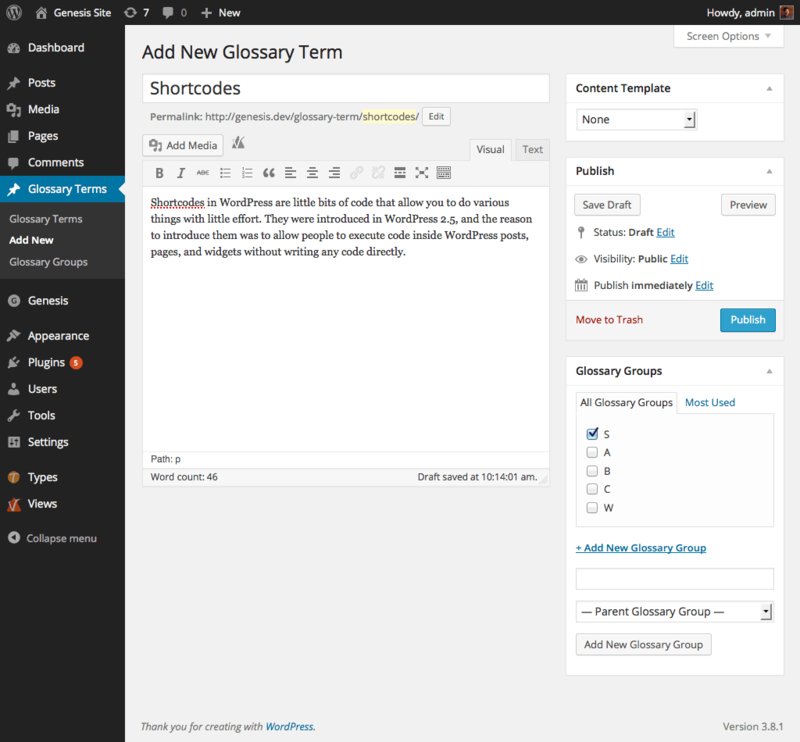 Go to Glossary Terms > Add New and add your glossary terms. Make sure to add/assign your entries to a Glossary group. Ex. : A, B, C.. Thanks for this. I’ve got a site I need to add this too immediately. Do you have a live demo of it anywhere? with one small change: the entry titles are not linked. I have noticed that you have used Advanced Custom Fields before. Any reason why you prefer Types/Views? Does it work better with Genesis? Also have you experienced a lot of bugs with Types/Views? I don’t have the Glossary Groups under select taxonomies. Can you please tell me why? and let me know how I can get it? Thanks for this. Almost got it to work, except the list of items only displays under the “All” tab. No items display when any of the A to Z groups (tabs) are clicked. Hi Sridhar, is there a way to send it to you privately as it’s a customer site? Yes. Via https://sridharkatakam.com/contact/ along with a URL of this tutorial. Sent it to you. Thanks for any clarity you can provide.